You make us number one! Rax fast food with style. 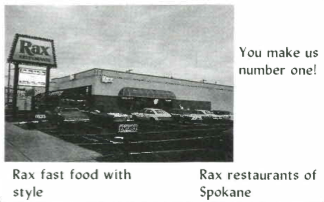 Rax restaurants of Spokane.